Last year, one of the best go-to source for travel information Tripadvisor.com, voted Tofino, BC as the #1 beach in Canada. 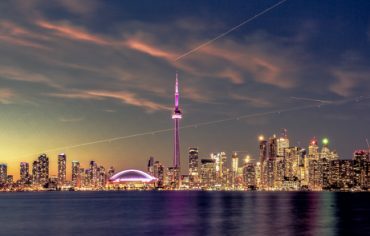 This distinction was then followed by a top ten ranking in their “Top Destinations in Canada” list. 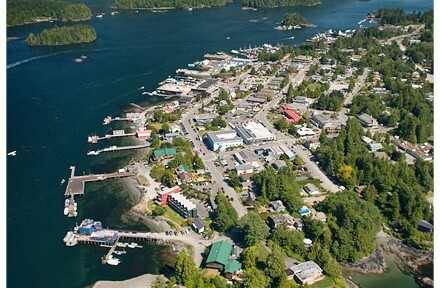 Tofino is a small coastal town with a population of 1,600 and is located on the west side of Vancouver Island. Due to its remoteness, Tofino maintains a strong connection with nature. Whales and dolphins are as ubiquitous to its landscape as much as its tall 300-year old trees. The region includes temperate rain forests, beaches, and botanical gardens. Tofino’s best attribute is also its biggest flaw – its isolation from urban development. The town, which swells to 22,000 during the summer months, requires an hour plane ride to get to. Since Tofino is on the edge of Vancouver Island, travel by boat or seaplane is also possible. Tofino offers the some of the best rugged activities for those willing to enjoy the untamed west coast. Prepare to get your boots a little muddy when hiking in Rainforest Trail and get lost among the towering 300-year old trees. If you don’t mind getting your ears wet, Tofino offers a variety of activities on the water such as fishing, boating or sea kayaking around the Gwaii Haanas Archipelago. Plus, the surf scenery is unlike anything else in the world. Lining the backdrop of Tofino’s waves are tall hardwood trees instead of palm trees and coconuts, making it a truly unique surfing experience. For the calm at heart, you’d want to bring a good pair of binoculars for bear and whale watching. The housing market in British Columbia is still performing at a relatively healthy pace. 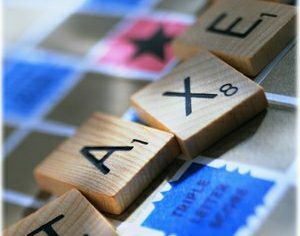 According to a recent report from BCREA, residential resales are expected to grow in 2012 by about 2.1%. Overall, home prices in BC will start to soften this year, decreasing by 2.2% this year for an average MLS® price of $548,500. Currently BC mortgage rates are sitting at 10-year lows and now may be the best time to lock in a low mortgage rate for a vacation home in Tofino. According to the Vancouver Island Real Estate Board (VIREB), the average sale price in the West Coast region of Vancouver Island increased 4.0% from January 2011 to January 2012. The average home sale price of $208,033 is less than half the BC average, making it very affordable by comparison. A current search of Tofino resale properties on MLS® reveal price ranges from $75,000, for a 400 square foot floating home, all the way up to $6.8 million for a 7,000 square foot mansion. 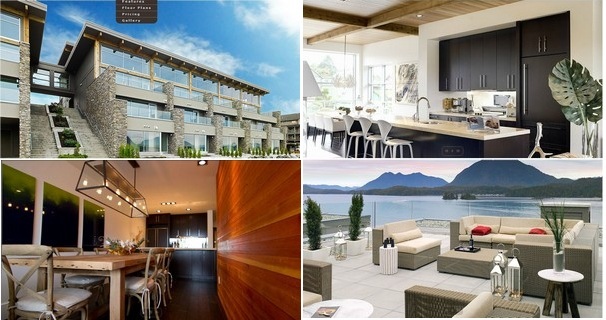 Tofino isn’t quite as littered with new projects to the same degree Vancouver is, but using BuzzBuzzHome to search Tofino listings reveals two very interesting property developments. Waterside in Tofino is a townhouse resort with waterfront acreage that starts at $335,000. The Shore is a luxurious 24-unit condominium built downtown on the water. Prices average around $620,000 per unit. 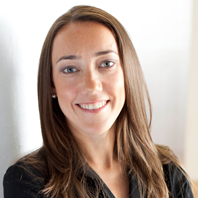 Maria Peters from The Shore says they are currently constructing a 31-boat marina due for completion in March, in addition to a large amenities space for retail and dining vendors. The Shore in Tofino, however, should not be confused with that other Shore synonymous with orange tan lines and fist-pumping. 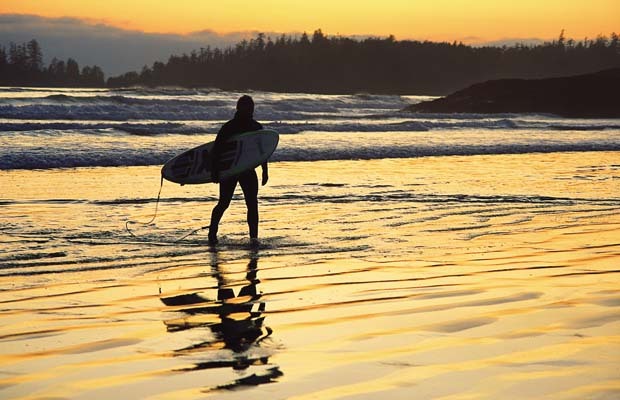 Tofino offers travellers the best beach in Canada which makes surfing in the Great White North possible. So much so, that it warranted a visit from Rick Mercer. The small fishing town also garnered attention on a couple of Food Network television shows, appearing on episodes of “Eat St.” and “Pitchin’ In”. To learn more about your financing options in this vacation haven at the edge of Western Canada, talk to a BC mortgage broker. Canadian Vacation Homes: Whistler, BC Tighter mortgage rules to come?